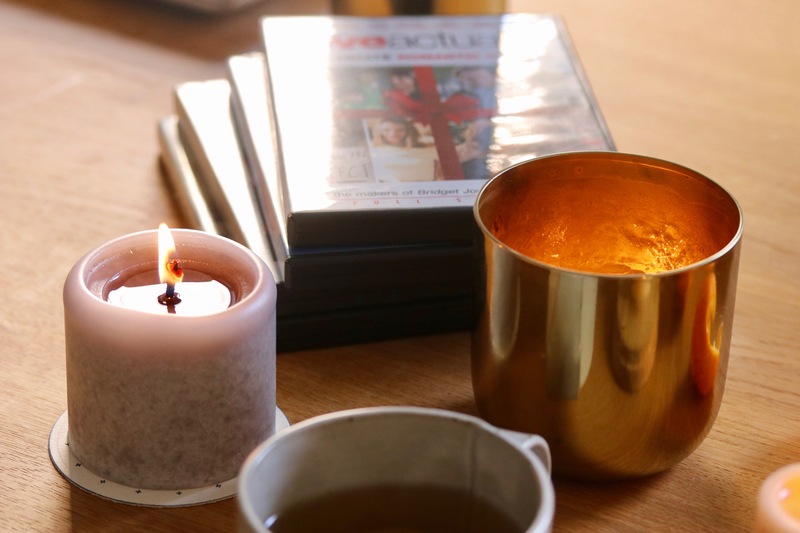 ‘Tis the season for cozy nights in so, grab your favorite pair of flannel, put on a beloved movie, and make it a date night at home. But first, you’ll need snacks! 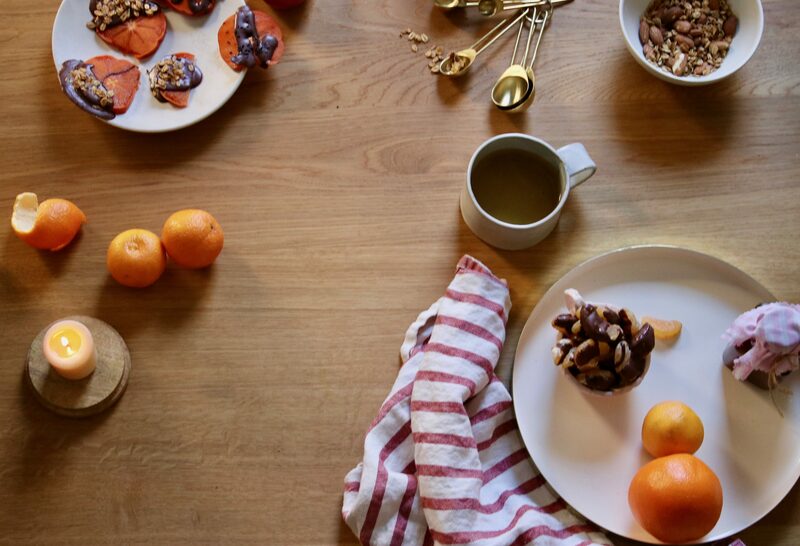 And it being the new year, full of fresh starts and aspirations, let’s make these fun, healthy snacks. 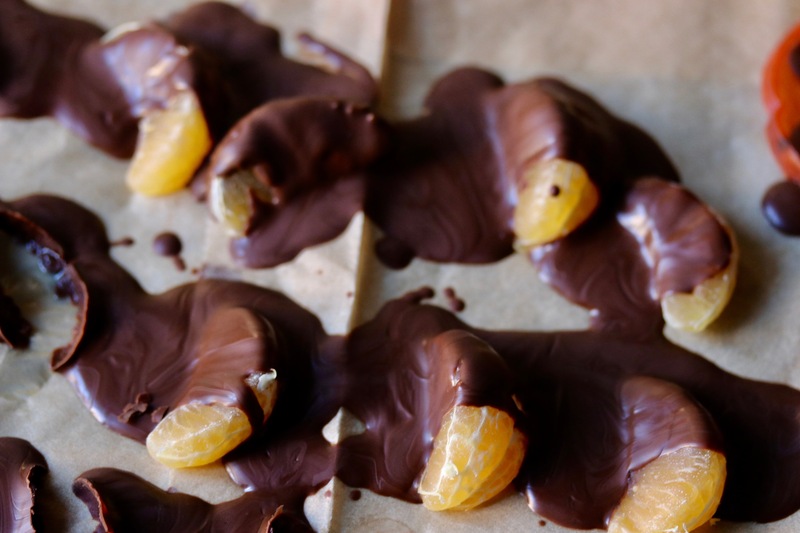 Chocolate dipped clementines and persimmons are my new favorite. You can top them with flax seeds, matcha, black sesame seeds, granola, crushed nuts etc. the possibilities are endless. 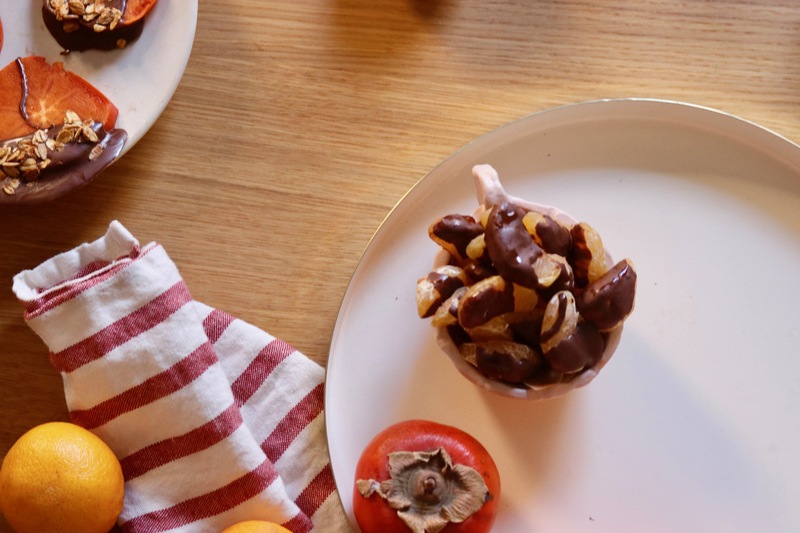 Okay, so these are “healthyish snacks” – chocolate is still involved! But I like to serve these alongside a bowl of almond, raisin, and popcorn “trail mix,” which gives my favorite Skinnypop popcorn some nutritional oomph. 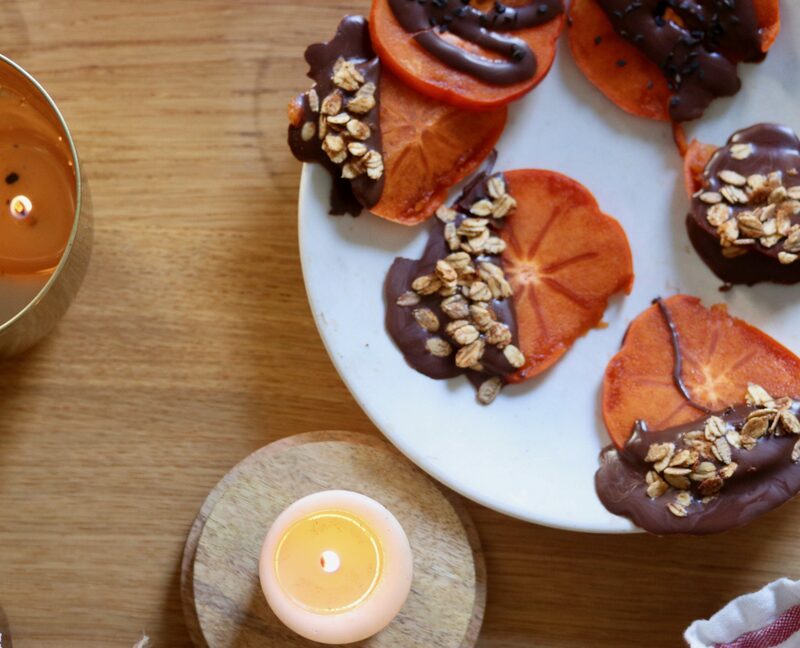 Simply melt some dark chocolate over a water bath, then dip clementine wedges and ripe persimmon slices into the chocolate. 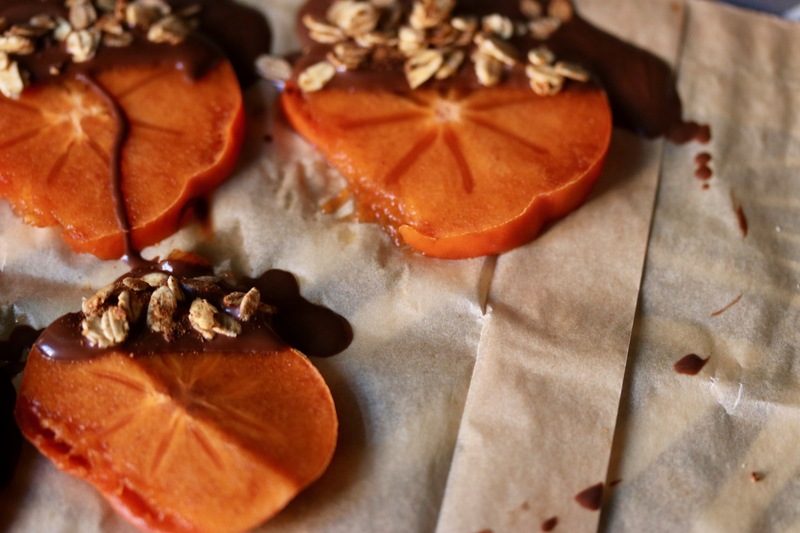 Or you can drizzle the chocolate over the fruit – make sure to put down wax paper since this is a little more messy! 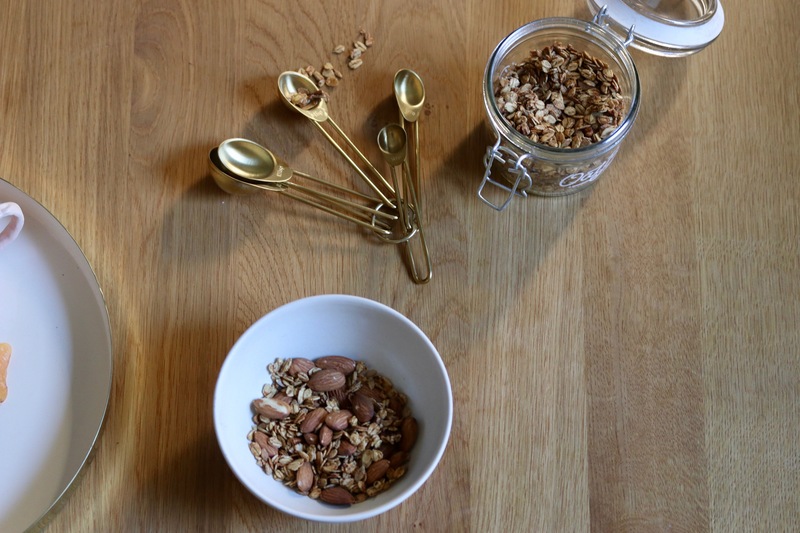 And then the toppings: I love a little added crunch + added nutrition so, some sesame seeds or flax seeds make for an easy addition, as does a little sea salt – don’t be afraid to use it with chocolate, they pair together so well! Dark chocolate: it is high in manganese and magnesium, may help lower blood pressure & boost your mood! Want more ideas for healthy snacks? Check these out! Apple chips with everything good, Shishito pepper poppers, and Green appetizers. Now that you’re situated, with snacks, settle in with your favorite person and/or animal and your favorite movie for a cozy night in. These do sound like the perfect healthy snack. 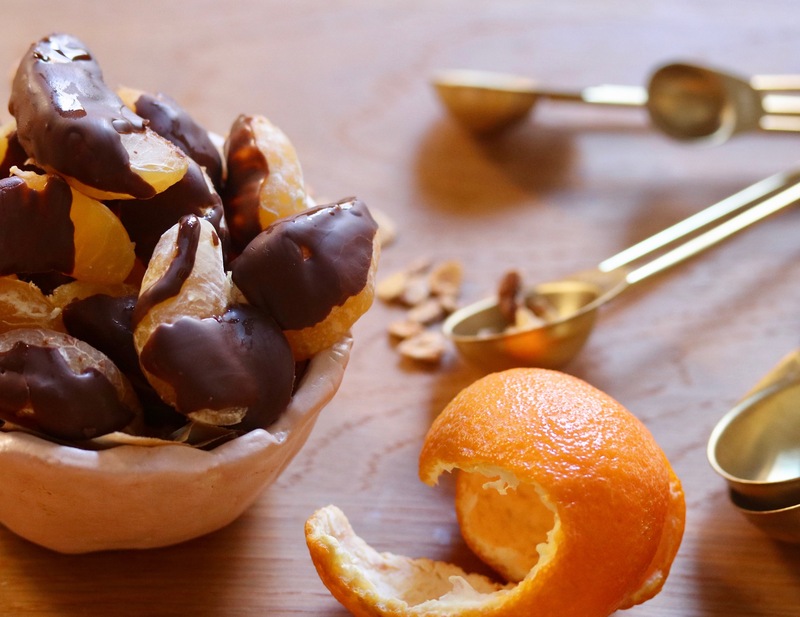 I’ve often made candied orange peel for my husband but I would like these a lot better!